school spirit day is coming up on Friday, November 23rd. It is hat day. 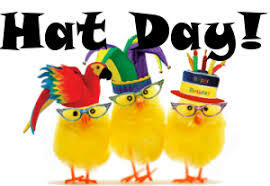 Wear your favorite hat to school or make a creative hat to wear.